Airbnb accommodation sharing with gusto. In fact, in 2017 there were 5,090,000 Airbnb bookings in Australia. Globally, the company has enabled 260 million check-ins in 191 countries. In 2017 Airbnb reported that Australia was the only major country in the world where regional Airbnb stays surpassed city bookings accounting for 56% of guest arrivals in the prior year. According to The Australian, during that time popular regional destinations included Cairns, Noosa, Byron Bay, Great Ocean Road, Margaret River, Victor Harbour and Kangaroo Island. There are many pros and cons of Airbnb hosting. The real motivator for most hosts is making money from available unused space in their home or investment property. There has been much attention on the effect that Airbnb has on long term rental availability, affordability and the supply versus demand scale. A concern held by many is that short-term tourism accommodation is infiltrating residential neighbourhoods, thereby reducing the permanent rental housing supply in high demand cities and increasing rental prices. Withdrawing properties from the long term rental market for money making Airbnb rentals has caused a ripple effect in some cities around the world. For instance, Barcelona, New York and Amsterdam have responded by placing restrictions on how long properties can be offered for Airbnb rental. In fact, Amsterdam will halve its limit to just 30 nights in 2019. The money making machine of Airbnb hosting is taking a different turn in Australia too… well, for some (for now). The NSW State Government has handed down laws governing short-term holiday rentals for Greater Sydney. For areas outside of Greater Sydney, councils will have the power to reduce the days a property can be short-term let down to a maximum of 180 days. Potentially Sydney siders aren’t the only ones set for change. We are seeing other areas of Australia also considering such changes. There is pressure on Victoria to follow Sydney’s lead. Some developers have taken it into their own hands and banned Airbnb and short-term holiday letting from their new Melbourne apartment developments. At least three councils in WA are preparing to draft new policies on short-term accommodation. 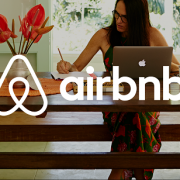 Property investors using Airbnb for income should be aware of these changes in Sydney. Although some would say a 180 night maximum is still a fair income opportunity, it is a restriction nonetheless and one that will impact income. Future apartment investors with Airbnb in their sights also beware. The new owners’ corporation bylaw could see your future income diminish. As for other cities and regional areas throughout Australia, time will tell if the wave of change is coming to you. Lastly, as with all investment decisions, make sure you find a great finance specialist – like us – who understands property structuring and finance, and who keeps an eye on housing trends. We work with you to understand your long term financial goals and the structure suitable for your individual circumstances. CONTACT US NOW! As housing affordability continues to challenge home buyers across all income levels and demographics, Australia’s experienced mortgage brokers help to drive choice, competition and valuable services for the Australians who need them most. Mortgage brokers encourage competition between all lenders in the market, which has contributed to a fall in lenders’ net interest margins (NIMs) of more than three percentage points over the past 30 years. This benefit is enjoyed by all Australians looking to buy a home or invest in property, not only by mortgage broker customers. Consumers benefit from the depth and breadth of experience their mortgage broker brings. 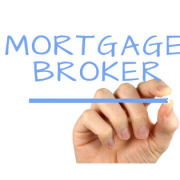 With an average of 13.8 years of industry experience, mortgage brokers offer advice and support throughout the life of consumers’ home loans, which means lower search costs, more diversity of product choice and service. At the same time, a key finding of this report is the average income of mortgage brokers who operate as sole traders. On average, these brokers earn a comparatively modest $86,417 after costs and before tax. This shows – like most small businesses in Australia – mortgage brokers run small businesses that rely on satisfied customers and a stable regulatory environment. Customer satisfaction is the most critical element of a mortgage broker’s success, with more than 70 per cent of mortgage brokers’ business coming from existing customers. This is (at least partly) driven by customer satisfaction, with more than 90 per cent of customers reporting that they are happy with the service they receive from their mortgage broker. With more than half of all home loans each year originating from the mortgage broking channel, this report highlights the importance of the industry to the broader Australian economy. The mortgage broking industry contributes $2.9 billion to the economy each year and directly employs more than 27,100 full-time equivalent jobs. Mortgage brokers play an important role in driving competition between lenders, making it cheaper for all Australians to finance their homes. The average mortgage broker has access to 34 lenders and uses an average of 10 lenders on their panel. This choice and competition is demonstrated most clearly by the fact that market share of broker-originated loans for lenders who are not major banks – or their affiliates – has increased from 21.4 per cent to 27.9 per cent in just four years. This increased competition powered by mortgage brokers is an enormous benefit for small lenders. Without mortgage brokers, these smaller lenders would need to significantly increase their branch footprint to maintain their existing market share. On average, each small lender would need to build 118 new branches to maintain their current share. The mortgage broking industry also has a positive impact on rural and regional Australians. Three in 10 mortgages arranged by mortgage brokers are for customers based in rural and regional areas. Without brokers, regional Australians would have significantly reduced access to home loan financing options. The report provides an in-depth understanding of the role mortgage brokers play in Australia. It demonstrates how mortgage brokers strengthen the entire Australian mortgage lending industry by fostering competition, providing service over the life of a loan, strengthening access to smaller lenders and supporting all Australian home buyers. To find out more, read the full The Value of Mortgage Broking report on the Deloitte Access Economics website, bit.ly/ValueofMortgageBroking. The Value of Mortgage Broking report was prepared for the Mortgage Broking Industry Group (MBIG) by Deloitte Access Economics. In a recent survey 48% of our respondents told us they have an investment property! That’s music to a finance specialist’s ears – it’s satisfying to hear those people have a financial strategy that could lead to a more comfortable retirement. However, 66% of respondents also said they are worried about not having enough money in retirement. This is a concern for many of us as almost 80% of Australians over 65 receive the aged pension. For 66% of those retirees the pension is their main source of income. Coincidence? And when should you start? Firstly, you need to focus on the lifestyle you want in retirement and then how you plan on getting there financially. of active lifestyle you probably desire IF you have paid off your mortgage. It was previously assumed the first ten years of retirement would be our most active and costly. With longer life spans and a possible increase in health or mobility issues as we age our later years could end up costing more. There is no ‘one size fits all’ plan for future financial stability. 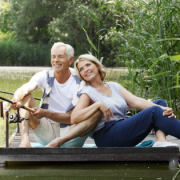 If you are in your 20’s and plan to retire at 65 your options may be more diverse than if you’re approaching 50.
a transition to retirement strategy or property investment through a self managed super fund (SMSF) could help build your superannuation balance. But do not make these decisions without talking to your financial planner. Save a deposit – Budget and stick to a savings plan. Gen Y’s living at home should maximise the opportunity to save and invest. Increase your savings each time you receive a pay rise. Ask your parents to help – There are several ways parents might help their children into their first property including a cash gift/loan or acting as guarantor. There are also new mortgage products such as a family pledge or family guarantee. If you have elderly parents perhaps they can contribute some of your inheritance now to help you get ahead? Use rent as a savings plan – A continuous rental history of 12 months may be taken into account when assessing your ability to service a loan so keep those receipts. Co-ownership – Perhaps explore investing with family or friends? But be warned – do it properly and get a loan agreement in place first. See – there ARE options! The earlier you start planning for retirement the greater your chance of living the comfortable future lifestyle most of us desire. 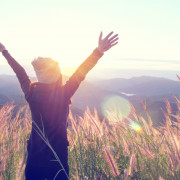 Getting ahead financially doesn’t have to be a choice between living life to the fullest right now or being tied down in your own home with a huge mortgage. Did you know you could possibly get your foot in the door of the investment property market without having to save for a huge deposit? The tax man and your tenant’s rent could help you pay off your investment loan. You may only need to be a little more disciplined with your budget and finances, and before you know it you could be sitting on a nice little investment property – a property that is making you money until you are ready to buy your dream home. Have you heard of the saying ‘making money while you sleep’? Yes you can buy an investment as your first property! Buying a small house or apartment in a low cost area and renting it out can be a good way to build some equity over the next few years. You could even do it again and then eventually buy your own place in an area where you want to live. It is a strategy appealing to many young Australians. While their lifestyle and work commitments are flexible, so too can be their living habits. Home ownership is a goal for most of us but it can seem out of reach when you are struggling to save a 20% deposit. However, property ownership MAY be realistic if you consider starting out with an investment property. • Lending institutions include a percentage of the expected rent from your tenants as part of the income towards servicing your investment loan (so you can probably borrow more than you could if purchasing a home). small deposit. When you talk to us we can calculate this figure for you and work out your most suitable options. introduced restrictions on interest only loans over the past year so it’s worth having a chat to us about this. • Negative gearing tax benefits are available in cases where the costs of your borrowing to invest are greater than your income from the property. This means a rebate from the tax man. Way to go! But you don’t want to miss out on the First Home Owner Grant? The First Home Owner Grant (FHOG) is a national scheme funded by the states and territories and administered under their own legislation. Changes to the FHOG took effect from 1 July 2017 – some states and territories provide additional grants and subsidies under certain conditions. In some states you need to live in the property first to qualify for the FHOG so this may rule out the FHOG as a future option if you elect to go ahead with an investment property strategy. This is a reasonable concern. Ultimately, you need to weigh up whether being in the property market could be better than not being in it. You may find that the capital growth you could experience over time is well in excess of the FHOG. Alternatively you could focus on the potential for capital gain and rental income to help you start building wealth now. You could find that by investing this way you will be ready to buy your own dream home sooner. With possible additional tax advantages you might even get back more than the amount of the grant! You should seek advice from your accountant to confirm your individual tax position. confusing, we encourage you to call our office for a chat.